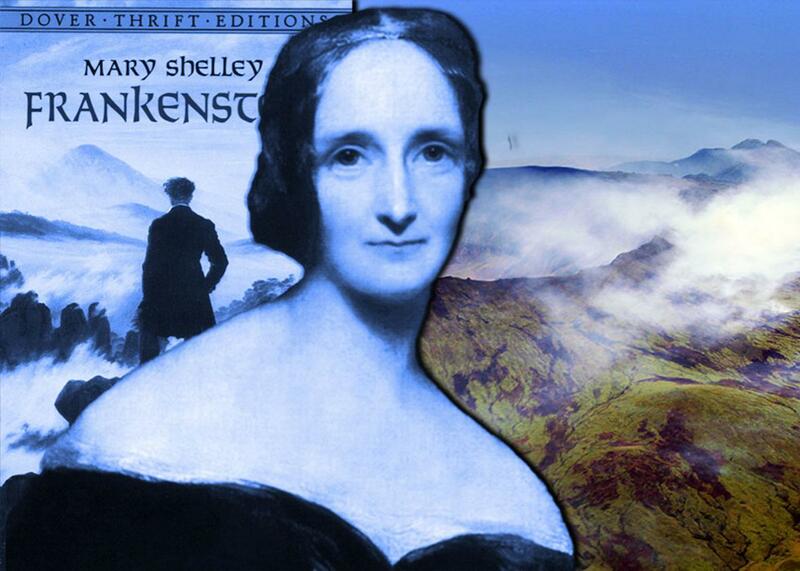 How a volcanic eruption in Indonesia inspired Frankenstein. Mary Shelley was an astute observer of the world; her journals reveal a young woman with a powerful drive to learn, reading a range of political, philosophical, and scientific works. In parts of London the weather had a rather mundane impact. La Belle Assemblée in July reports, “The precarious state of the weather, with the departure from town of several fashionists belonging to the higher classes, and the more serious causes of emigration, have rendered the modern toilette less subject to fluctuation than might otherwise been expected.” Thanks to the unseasonable weather, the trendsetters (the fashionists) left London earlier than usual so the mode of dress (the toilette) was more subdued. But the radical shift in climate had far more serious effects, too. The Connecticut Courant reports the weather had a macabre fallout on the bird population: “A variety of birds, among which are the hummingbird, the yellow bird, the marten and the beautiful scarlet sparrow have been so benumbed, as to be taken by the hand and great numbers have actually perished by the cold.” The birds that were “taken by the hand” were likely eaten, not nursed by the fire until they regained their strength. Other stories include birds flocking to towns seeking warmth and respite from the frozen woods, only to be trapped by hungry humans. One feature occurs again and again in the news reports: a focus on food. Even brief discussions of the weather are reliably accompanied by concerns about the availability of food. The weather was destroying crops, setting people on edge. Reports out of Montreal, again printed in the Connecticut Courant, suggest that the city was on the verge of rioting because “the high price of bread excites general alarm, but it is owing to artificial causes. Wealthy individuals have engrossed the flour that came to Montreal, and now extort the enormous profit of center per cent. … The situation of the poor in general throughout the Province is dreadful.” There were riots in the United Kingdom; in the city of Frome, citizens raging against skyrocketing potato prices were subdued by the cavalry. La Belle Assemblée might seem to suggest that London was insulated from the unrest, but even it hints that were “more serious causes of emigration” from the city as it became home to masses of displaced vagrants and beggars. One report out of Maine, in the Connecticut Courant, notes, “A famine for man and beast seems to stare us in the face.” The author goes on to ask, “What is to become of us? We hope, notwithstanding, that the God of harvest will not utterly forsake us.” Famine was widespread in the Northern Hemisphere, stretching as far as China where there are accounts of people eating clay to survive. Conservative estimates put the death toll from Tambora’s disruption of agriculture at 71,000—all because the weather was 0.7 to 1.26 degrees cooler than normal. Distressingly, the Intergovernmental Panel on Climate Change’s projections for global warming suggest that the earth’s climate will be roughly 0.9 degrees Fahrenheit warmer on average by about 2025. The Year Without a Summer is why Robert Walton is important to Frankenstein: Like the newspapers, he’s concerned about surviving climate chaos. Walton journeys to the Arctic in search of a northern paradise. He says that in the Arctic “the sun is for ever visible; its broad disk just skirting the horizon, and diffusing a perpetual splendour. … There snow and frost are banished; and, sailing over a calm sea, we may be wafted to a land surpassing in wonders and in beauty every region hitherto discovered on the habitable globe.” Frankenstein begins with the search for new, more habitable lands because of environmental anxieties. People did not know that the cooling trend was a temporary result of volcanic activity. Rather, they thought the summer of 1816, with its famine, social unrest, and winter eternal, was the new normal. To survive in this afflicted world, new sources of food and land would be necessary, so Walton heads north hoping to find a balmy Eden. Amusingly, Walton would have found the Arctic much balmier now: The Arctic was already about 5.22 degrees Fahrenheit warmer than average in 2015. That might open up the Arctic to farming but at the same time the Middle East might become an uninhabitable wasteland not to mention other unforeseen changes. At the end of the novel, Walton, at the urging of his crew, turns his ship around, ending his quest to find the Arctic Eden. Walton and Frankenstein (who is telling Walton his story, after the captain saved him) are both frustrated by the sailors’ cowardice. The crew doesn’t want to die for glory, honor, and science. Later Frankenstein reconsiders his anger and reflects that he remembered too late: “My duties towards my fellow-creatures had greater claims to my attention, because they included a greater proportion of happiness or misery” than his need for self-aggrandizement. The novel emphasizes social responsibility in the face of a climate crisis. Today, archival technologies allow us to understand the human dimension of climate changes throughout history: How have people in different times and places reacted to a dynamic, deadly world? Reading arcane and previously lost documents, like stories chronicling the summer of 1816, gives us the opportunity to understand the complex nature of our world, to remember what we might have forgotten, and to consider how our communities and societies can be more resilient in the face of a changing climate. The future will always be unpredictable, but every day is an opportunity to learn more from the past and put that knowledge to work. A volcano, a novel, and a smattering of newspaper reports can reveal a possible gap in our thinking about climate change today—the bedrock importance of food security and the turmoil shortages will cause, because the difference between sustenance and starvation can be a matter of degrees.